I’m sorry to say that I’m not a big football fan. If the truth be told, I only watch ONE game a season…yes, that game would be the Super Bowl! 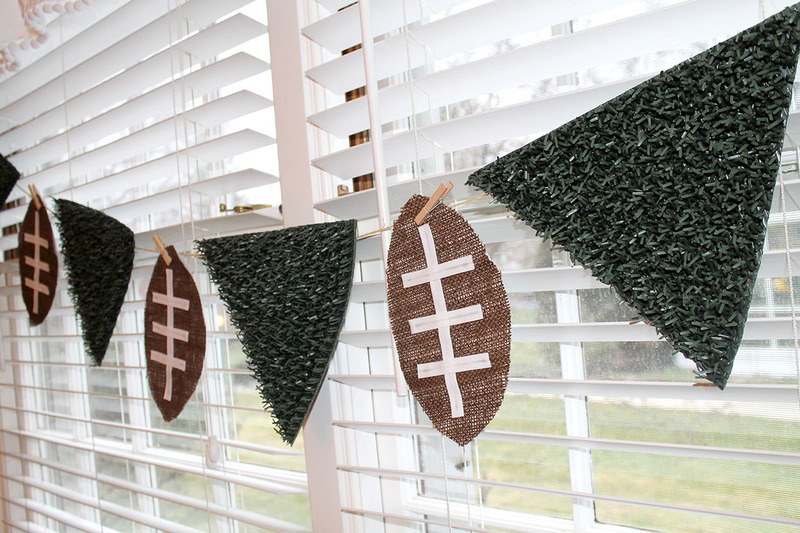 Maybe it’s the commercials and the halftime show that make it more exciting OR maybe it’s the opportunity to host friends for a football theme party! 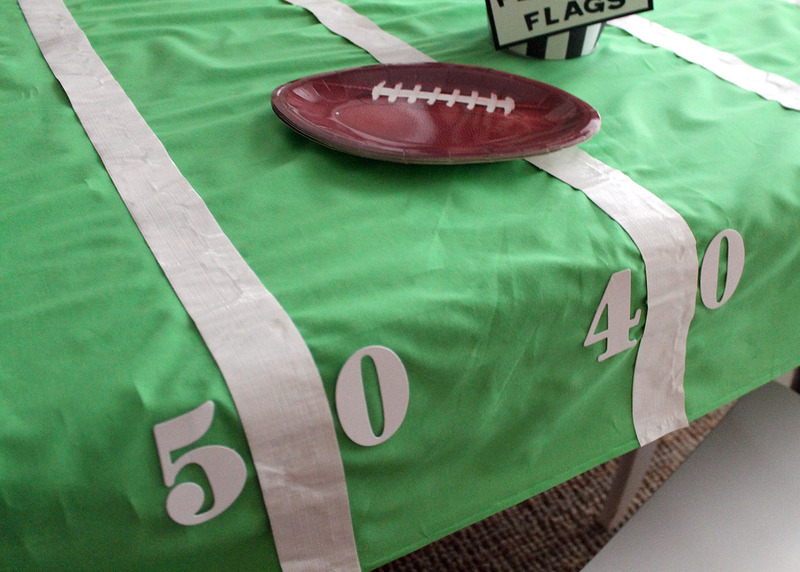 A football banner is perfect for decorating the food table or the room with the TV. 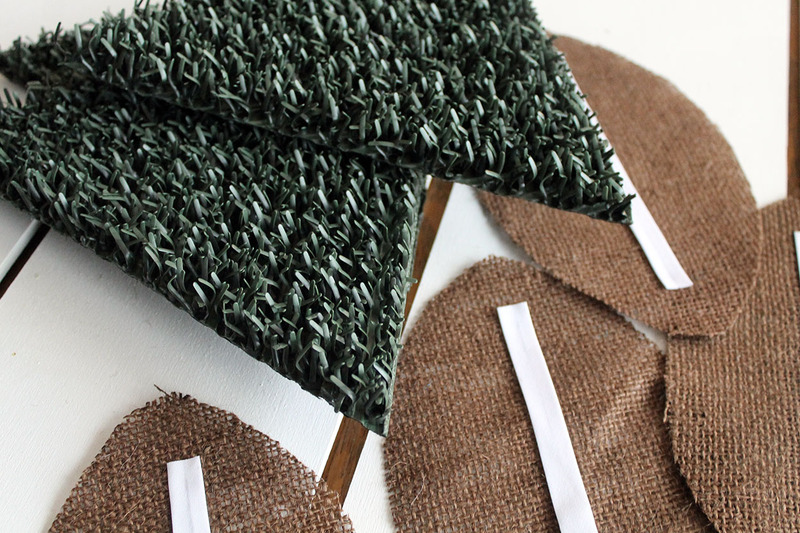 To create this banner, you will need brown burlap, white bias tape, astroturf, and jute. 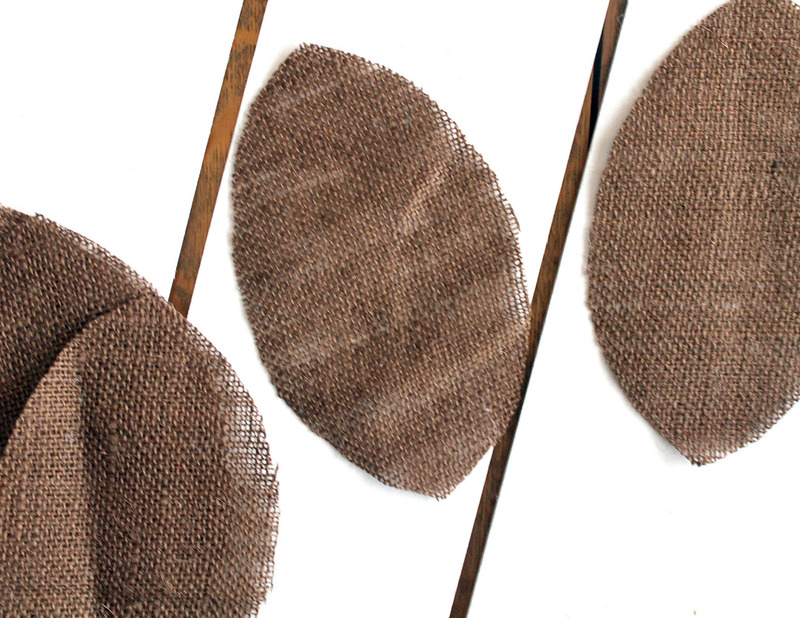 Cut football shapes out of the brown burlap. Glue small strips of the white bias tape on the football shapes to represent the football laces. 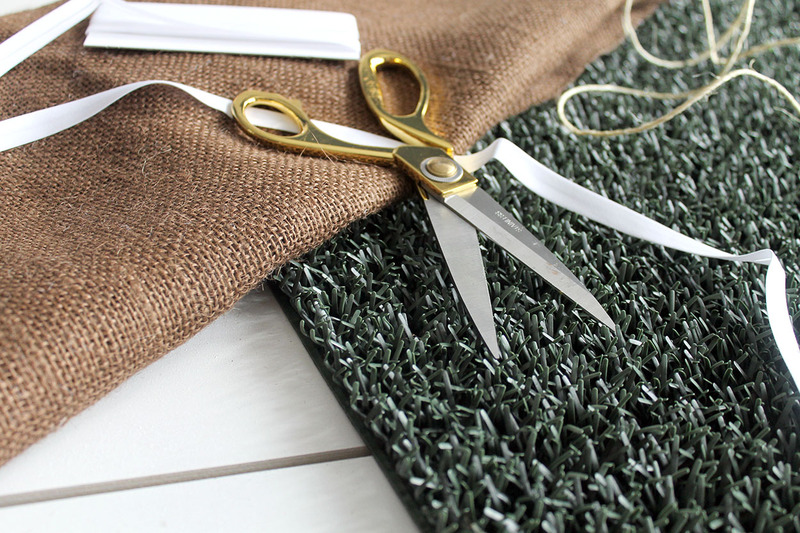 Using heavy duty scissors, cut the astroturf into triangles. 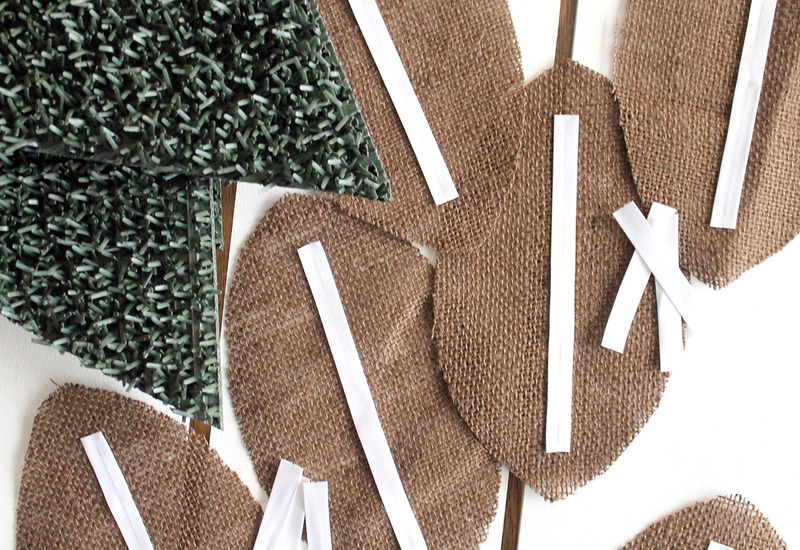 Connect the pieces of the banner together using a hot glue gun and some jute. So cute! 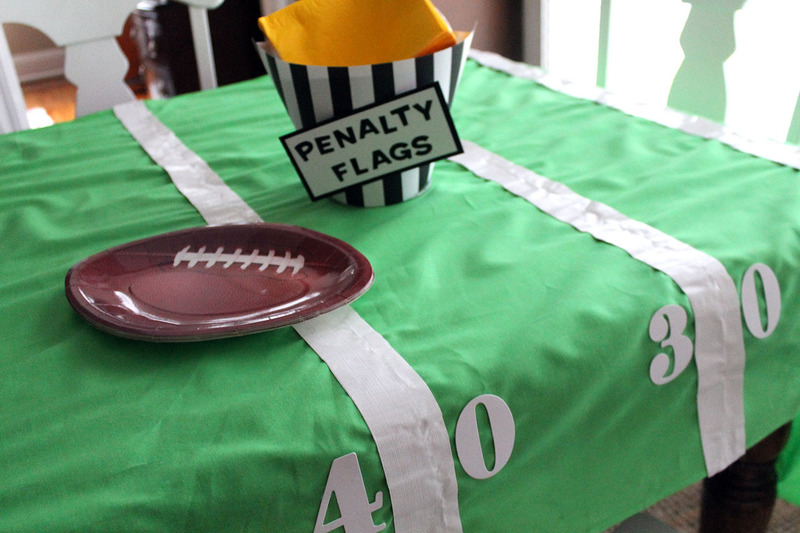 It would also be great to hang at a football themed birthday party for a young boy or even a high school sports banquet. 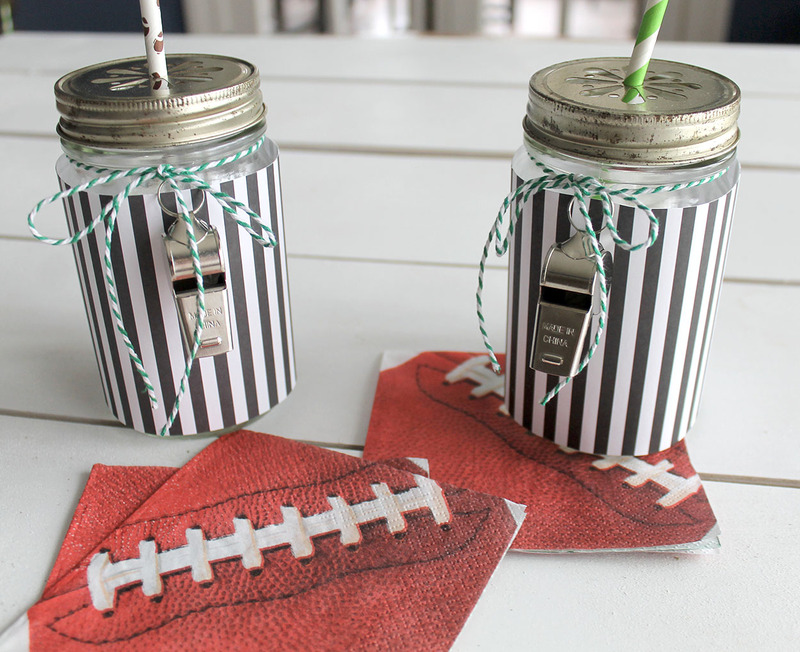 Another way to add festivity to your Super Bowl party is with these referee mason jar glasses. 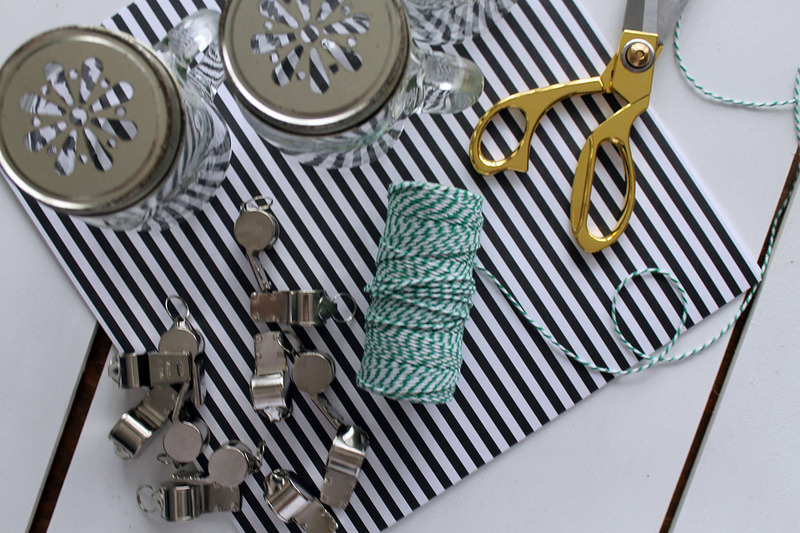 Using black and white striped paper, metal whistles, and green bakers twine, they are simple to create. Trim the paper to the size of your glasses. 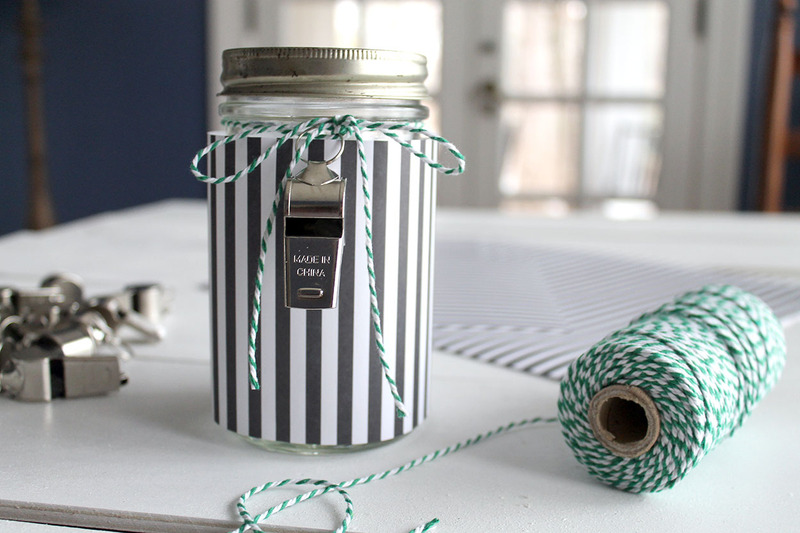 Adhere the paper to the outside, and tie the whistle around the lid with the bakers twine. 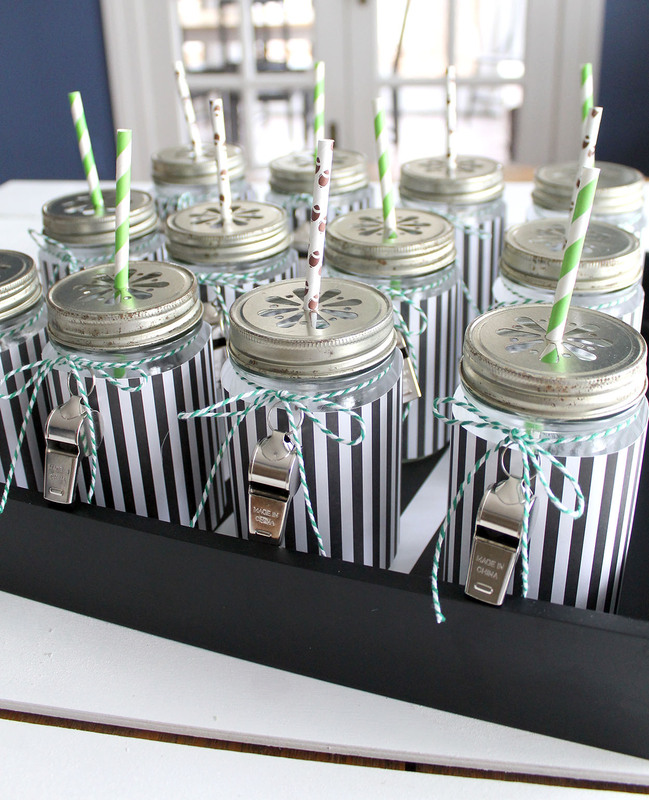 Add some cute paper straws and you are ready to serve some drinks! 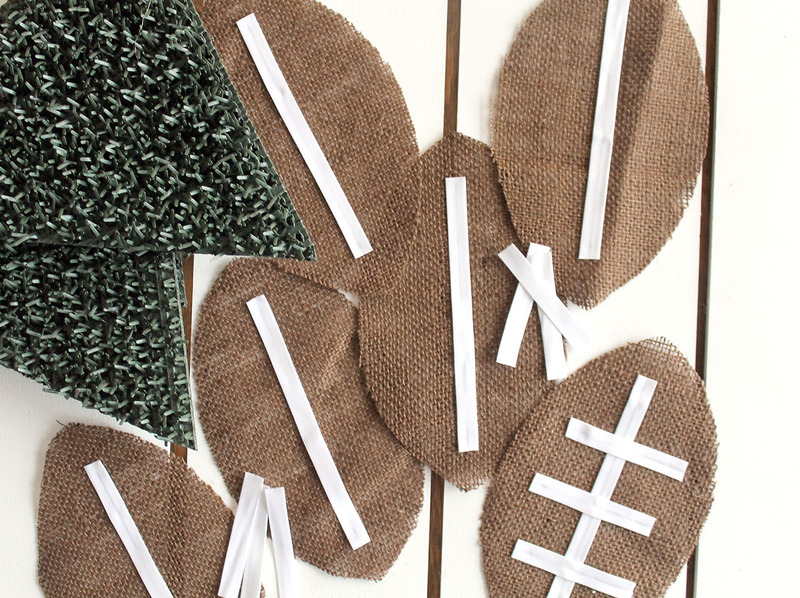 Creating a football field as your tablecloth is a fun idea! 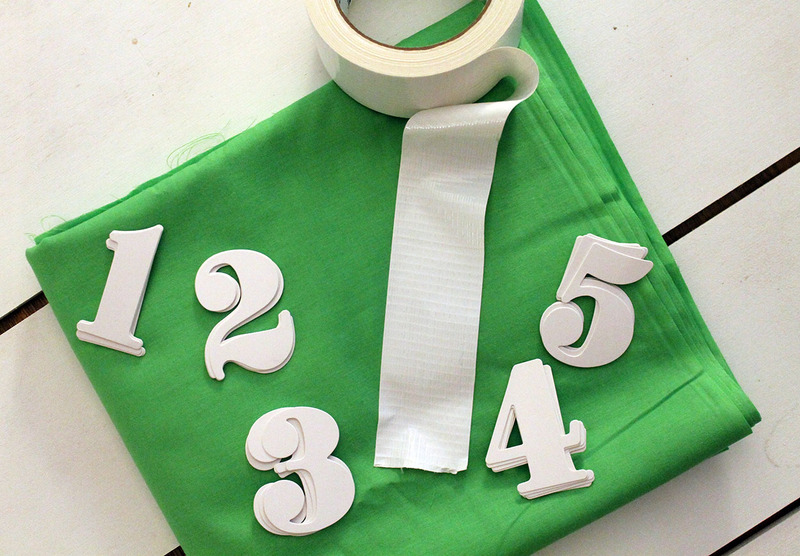 A few yards of green fabric, white duck tape, and white numbers are all you need. Tape off strips of the duck tape to make the yard lines on the fabric. 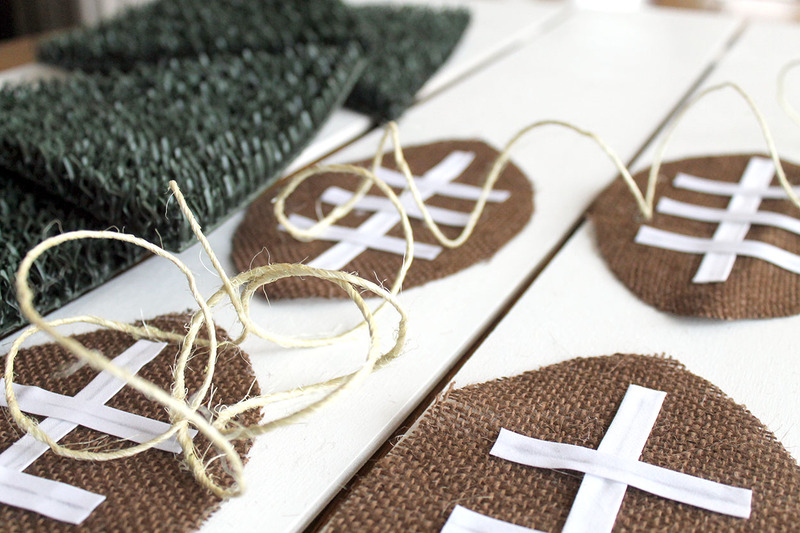 Glue the numbers to the fabric to indicate each yard line. It’s almost too cute to cover with serving plates and dishes of food! 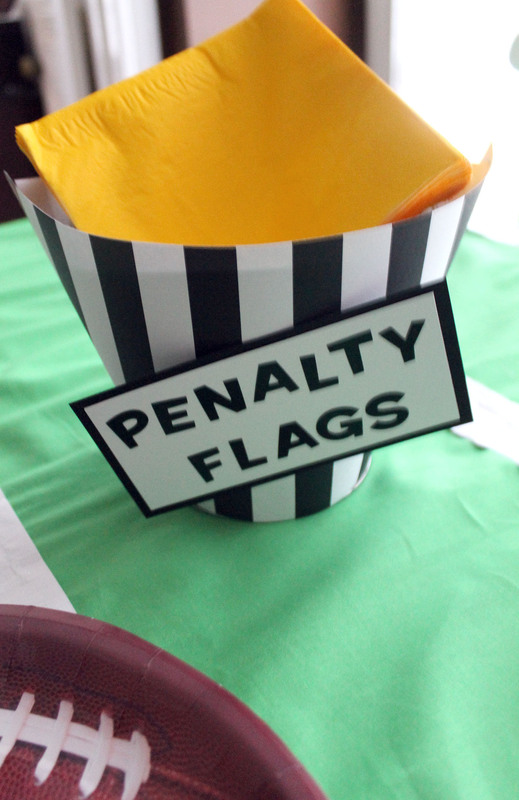 Pick up some yellow napkins to serve as “penalty flags,” and serve them out of a container wrapped in more black and white (referee) striped paper! So which team are you cheering for on Sunday? Enjoy the game…even if you are watching it for the commercials and the halftime show!